Cathy and I grew up in a humble bungalow built by our Great Grandfather. The entire top floor of the house was a large open space. The hardwood floors were polished to perfection so of course we had to slide across the floor in our socks ~ didn’t take much to entertain us back then, I guess some things never change. It looked gorgeous in this color but you know us, we had to layer another color over it to Shizzle it up a bit. For the life of me, I can’t find the pictures I took at this stage. It was just after my cancer diagnosis last summer and everything from that point on seems to be a blur. Cath painted over the Carbone with Faux Real’s Bella, a rich creamy white and sat it aside for me to finish when I returned. I spent the next four months having countless scans, major surgery to remove the cancer and most of my humerus bone in my right arm. Yes, I’m right-handed. They rebuilt my arm with bone cement, a large metal rod and plenty of screw. 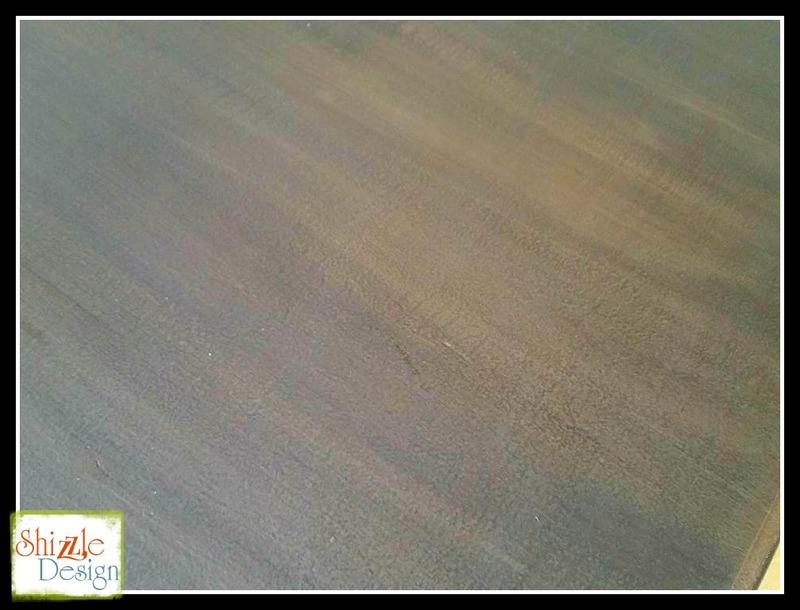 The top of the desk had a lot of neat texture which I played up by mixing several metallic mica powders into glaze. I then layered it again with even more mica powders mixed in with the dark wax. 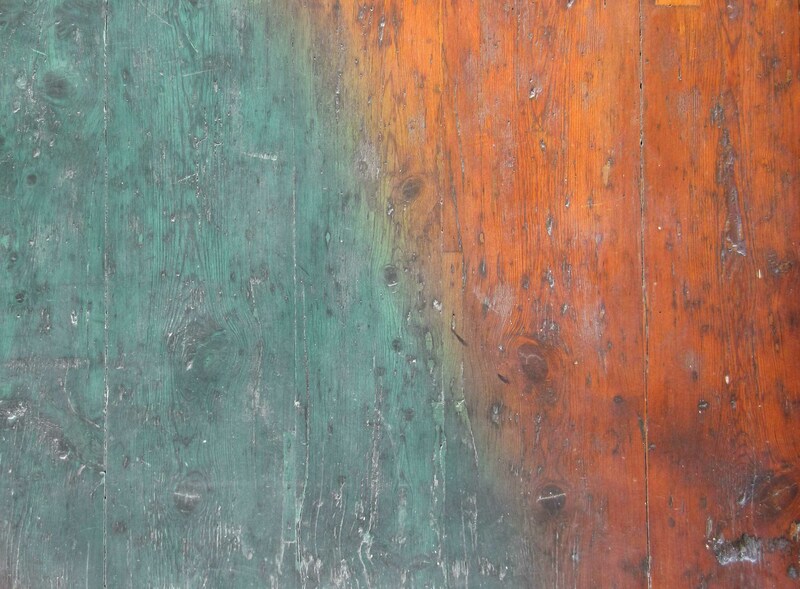 My personal favorites are Old Town Paints Smoke & Bronze followed by APC’s Pewter, Copper and Black. I love that crackled weathered-leather look! The desk found a new owner immediately. The chair was still there tonight when I brought in a charming shabby chic bow front dresser and super cool re-purposed wine bar. I can’t wait to share those two projects with you! For a sneak peek, visit our Facebook Page here. 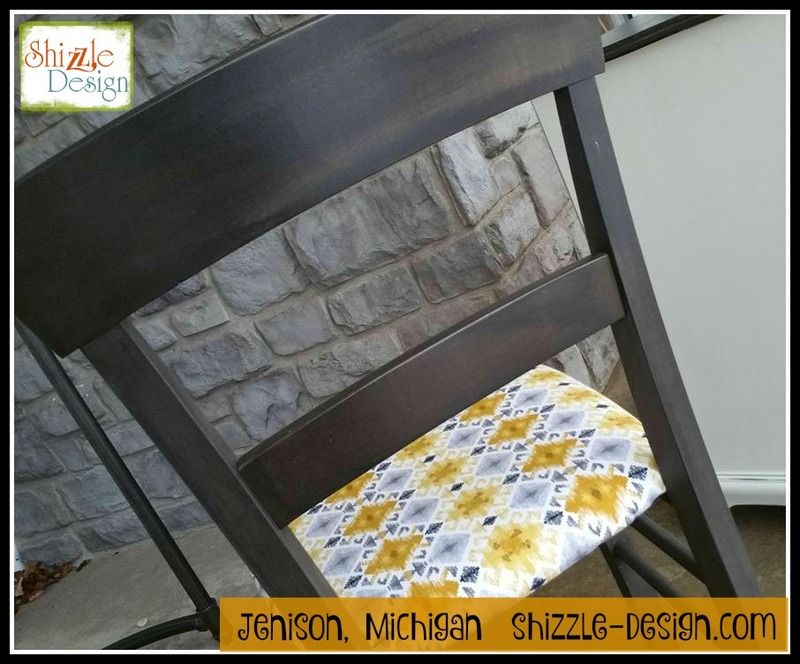 Like our ShizzleLLC Facebook Page We share what we’re working on EVERY single DAY so you’ll usually find out about new classes, new products, new furniture, sales… if you follow us there. The more you comment, the higher your chance is of getting our daily posts. 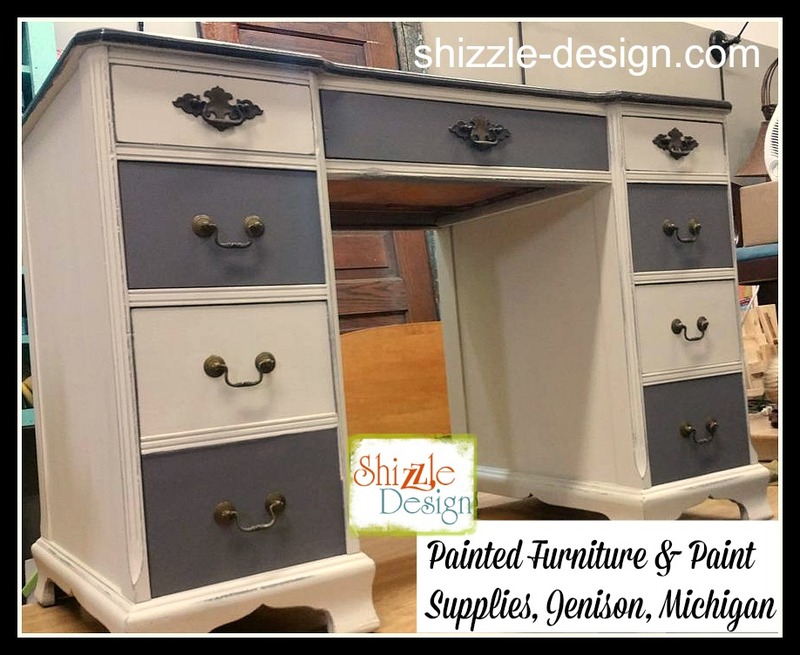 Our Painted Furniture is offered at: Shizzle Design Paint Studio 2018 Chicago Dr., Jenison, MI 49428, Not So Shabby at 2975 West Shore Drive in Holland, MI 49424 & Landry’s Antiques in Hudsonville. Love that desk. I am looking for something like that for my sewing machine.